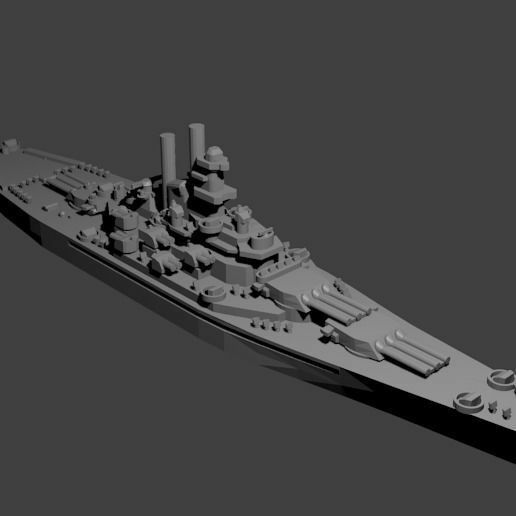 1/1800th scale Baltimore Class Cruiser model. Certain elements not to scale. The Baltimore class were a set of fourteen heavy cruisers built for the US Navy. Four of the ships were later converted into some of the first guided missile cruisers. The Baltimore class saw service through 1971. As designed, the ships carried nine eight-inch guns and twelve five-inch guns along with a slew of anti-aircraft armament.